We have good news on the DVD front. The 911 Totnes group now has the capability of recording and dispatching the new Loose Change 2 (and any other films you choose to send them) in batches of fifty or more for people to sell. They can also print designs on to the DVDs themselves, so they look professional. The Totnes group can be contacted at: info@911truthtotnes.com. I suggest that we sell the DVDs for at least ?3. I would ask that we send the Totnes group ?1 for every DVD sold to cover the production costs, postage, and help pay off the cost of the equipment. If anyone wants the design for a sleeve to put in with the DVDs, email me, and I can send it through. I also have access to a number of 911 books and magazines if people wish to sell them at meetings. Please contact me for further details. My band has recently started to wirte politically driven songs. Our song called 'Towers of Disguise' is about 9/11 and the controversial facts behind the suppsed truth. The song was actually requested by David Shayler and Annie Machon! Now you tell me.... what kind of security do you want? Notice the song wasnt fully ready at that time and the lyrics aren't the same and are rather inaudible. We will be soon recording it at a studio, and somehow find funding to hire out the necessary equipment to direct our own music video. We are becoming more and more known around somerset and wiltshire, with a greater young following, and I personally think it is time for someone to start making music about these often ignored topics in the music industry. Just don't be too harsh, We're only 16 still at school! This is effin brilliant! Congrats to you and your band. You rock! You give the older people like me more hope! Fantastic! We are recording it in a studio in June and I'm very determined to make a music video for it. The only trouble is we are very poor! Does anyone know of any 9/11 movements that have the possibility of funding the hiring of the required equipment? Travelling is not a problem as 2 of our managers have vans in which to travel us and gear around. 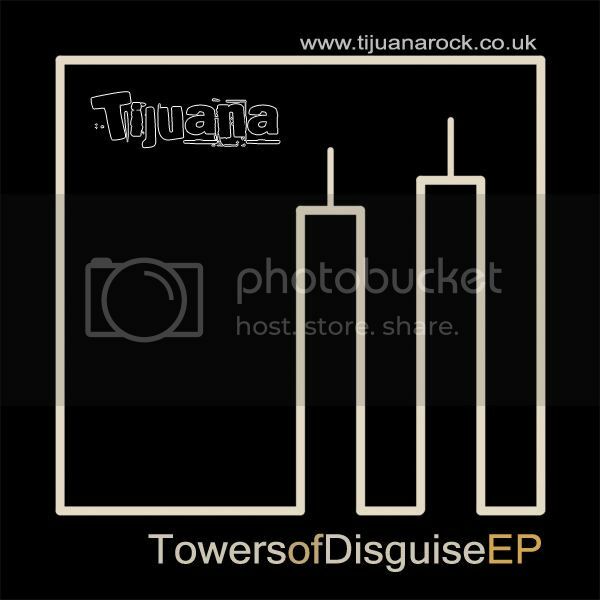 our website is www.tijuanarock.co.uk or www.myspace.com/tijuanablues. we have live videos of the more political songs and lyrics in the media section of our website. Posted: Wed Apr 26, 2006 12:54 pm Post subject: Uplifting!! How wonderful to read your emails and to hear about what you are doing!! So young and yet so "aware" of how things really are in this world. I'm visiting Glastonbury in June, I might just look you all up!! Glad to have you onboard the forum as well! Really like the lyrics and the song. Great work! Let me know what you think... it's been bouncing around the internet for awhile, maybe it can give you some ideas for your video? This video is excellent brianc. It should be beamed over the top of coronation street. Every tax payer in Britain is paying to melt the faces of babies. This is a bloody brilliant song - Dave and I were in Glastonbury when he wrote it, and it sounds as good as it looks. We've been talking to some film people, and will help to get a video made. If you can help with this, Flamesong, please PM me. I thought the song would be a good thing to post all over the internet and add to the DVDs we distribute. I see a 9/11 truth tour coming together. Or a benefit gig. There is an amazing opportunity here. Welcome and thanx for that! If you want support and help for getting "Towers of disguise" to no.1 in the charts then you've come to the right place for moral support and guidance! IMO the lyrics are superb, unfortunately the sound/picture quality on the video link is poor so I am unable to comment on the presentation as a whole! The 911 Truth campaign is not about money but beware of those who are looking to make a fast buck out of 911 truth! You have been given some excellent links/contacts so far here. I would advise you to contact Annie Machon, the Hon Secretary of the 911 Truth campaign (Britain & Ireland) first. Ian Neal's advice about getting in touch with the techy and creative 911 Bristol group is definitely another avenue worth pursuing. I look forward to seeing and listening to the completed "Towers of disguise" video link. Your bands name "Tijuna" Whats in a name? Anything behind that? Also would your band be interested in being a lead band at a 911 Truth campaign national event? Sept 11th this year will be the 5th anniversary! Well done and good luck, thats top quality and top class 911 truth creating Miguel! Jane, if you are down then let us know! Brianc, Great, love the video! Annie, Cheers and hope to see you in glastonbury soon! TimmyG, Thanks that is great! but we are recording the song in early June, so we are ok for now. However, new songs are getting made quite frequently so we might give you a shout if there is anything like this again if you are up for it! Pikey, yeah the video is rubbish!! Not only is it old but we had only just started to play it live and weren't as 'fluent' with it at that time, and the camera quality is just poor! Seriously guys, don't judge the song by that video because i'm not happy at all, its just to give you all an idea. The name 'Tijuana' was suggested by the guitarist's dad's friend, who soon after died so the name was adopted as a tribute. Also, Tijuana is just in the border of mexico and it is usually where all the criminals escape to and where the laws are different, its 'Another way out' which is our slogan, because we try to be different from the mainstream stereotypes and try to find our music the other way out! YES, we would most definitely be interested in supporting the event in any way we can! I have spoken to Flamesong about material etc, and it sounds like it can happen that way if everyone is up for it. the first thing to do is record the song which is part of our next four track EP entitled 'Towers of Disguise EP', to be sold at gigs etc. Basically, I've had ideas of purchasing a detailed 3D model of the WTC and then Chroma-Keying the band on top, and I've become quite familiar with advanced video editing programs such as Premiere Pro and After Effects, as well as 3D Studio Max, Poser, Maya, etc. So we would actually like to edit the footage ourselves, the only problem is we don't have decent cameras or lights or green/blue screens. After having that available to work with, the rest will be easier and fun! And we will be on June's FHM mens magazine issue, as they wanted to cover a band from Glastonbury in one of their articles about the 'No Glastonbury Festival 2006' and chose us as they had heard good things from us, so (not to sound pompous in any way!) we are slowly getting more broadcast exposure therefore the message would spread fast that way too, which i personally think is one of my main intentions with the band, to let people know what's happening through music, and let's face it, there is hardly any public music concerning 9/11 which I personally think is not good enough! Thanks for all the feedback and links too guys! Once again thanx for that Miguel. The poor quality of the recording of your performation dos not enable me to make my own personal judgement of the song "Towers of disguise". I really do look forward to seeing it though. If I cant wait for that though when and where is your next live performance of the number? Another contact which I feel worthy of mention is Ian Crane (pm him our website) and the Totnes truth group (see their website) who are very active in your region. I like the simplicity but how about adding the 47 storey WTC no. 7 building and also running text vertically along the structures stating WTC1, WTC2, and WTC7? And on the inside of the sleeve:- "For info about the 911 truth" add sources of references (websites, the 911 truthseekers bible David Ray Griffins book "The New Pearl Harbour")? hey guys, good news and bad news. good news, our band is to appear in a feature of the FHM mens magazine which comes out in june (july edition), meaning there is more exposure to people who will eventually get to hear about the political messages. the message is spreading in our youth circle! bad news are, soon we will be recording and there is a section in our song where its just a soft guitar riff and on top of it i want to have key phrases from george bush himself and other eye witnesses of 9/11, but i am going through my GCSE exams and have no time to look through any of that stuff and pick out the really important sound clips from testimonys etc. and i fear a 30/35 sec. max compilation of quotes wont be ready by the time we record it in june!! can you guys be ever so helpful and email me at miguel_santana_da_silva@hotmail.co.uk with either links to or the attached sound clips themselves. full speeches/talks are ok, but if you could help me in actually picking out the key PHRASES, that would be awesome. - just general facts pointing to government involvment etc. Rumsfeld says Flight 93 was ?shot down.? Good to hear, I just set up what I think might be the first youngster's online community for 9/11 truth! You're a teenager, 3 years older than me at that, but come and join. I set it up yesterday so we only have 7 members at the mo but I'm sure people would be interested to hear about your band! How about: "Let us never tolerate outrageous conspiracy theories" delivered from the podium of the United Nations General Assembly. He's certainly given us an outrageous conspiracy theory. Hey guys! sorry i havent been on here in a bit but thats because ive been busy recording our latest EP!! Towers of Disguise is now online! Break Free is another political song with rage against the machine influences, speaking of the new world order in general. i'm just starting out on my own quest for the truth so have joined your site....the more the merrier, eh?! Anyhoo, with all this talk of bands and stuff, i wanted to point you in the direction of a video i made and put up on Google video, if you'll indulge me. Its mainly sourced from the internet, and its my first attempt so hopefully can put out some better ones. Also i wanted to ask if anyone knew of a good online source for best quality videos of things like 9/11 so i can use them in future projects? I apologise if this post is in the wrong place, etc.. i've never been too clever with these forum things!! Keep up the good work everyone...can i link through to you for my MySpazz page? ?